With the rapid advancement in technology, a myriad of new threats have emerged in online environments. The broad spectrum of these digital risks requires new and innovative methods for protection against cybercrimes. 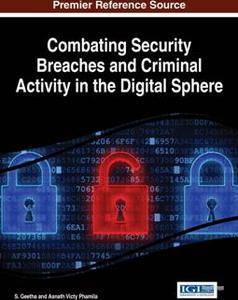 Combating Security Breaches and Criminal Activity in the Digital Sphere is a pivotal reference source for the latest scholarly research on current trends in cyber forensic investigations, focusing on advanced techniques for protecting information security and preventing potential exploitation for online users. Featuring law enforcement perspectives, theoretical foundations, and forensic methods, this book is ideally designed for policy makers, analysts, researchers, technology developers, and upper-level students.